The importance of maintaining the hygiene standards in restaurants cannot be stated enough. Hygiene in restaurants is not just essential to ensure the health and safety of your employees and customers, but also because it plays a significant role in building the brand image of the restaurant. 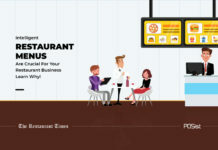 Customers want to dine at a clean restaurant that serves hygienic food. Hygiene is probably the second most crucial aspect of running a restaurant; the first aspect would be of maintaining food quality. If the customer thinks that the restaurant is unhygienic or unclean, they let go of it in a heartbeat. Not to mention that reports of lack of hygiene in a restaurant are the worst sort of publicity a restaurateur can invite on himself. Restaurant hygiene is also essential for acquiring the FSSAI license needed to run a restaurant. FSSAI also regularly shuts down restaurants which do not follow its health codes or do not meet its hygiene standards. Hence, it is very crucial to make a restaurant FSSAI complaint. Learn more about the Food and Safety guidelines imposed by the FSSAI here. 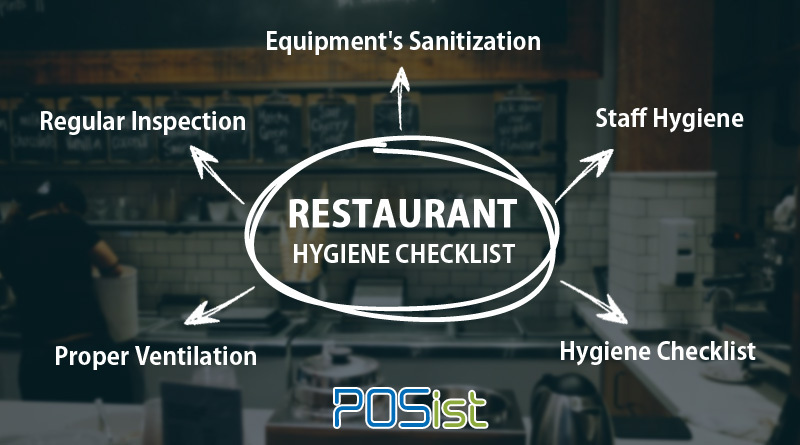 This 5-step checklist will help you maintain the hygiene standards in your restaurants. It is a stated fact that every customer would want to trust a restaurant that follows the hygiene rules and has been successful in passing health and sanitation standards. You should always have a sufficient stock of cleaning supplies which will ensure that the restaurant is kept clean all the time and the hygiene standards in the restaurant are met. There should be regular inspection of the kitchen areas, eating and dining areas, restrooms by the managers so that they are successful in achieving health and hygiene requirements that have been set forth by Food Safety and Standards Authority of India (FSSAI). Always remember that FSSAI does shut down restaurants that operate without the said license or if the restaurants do not operate as per the FSSAI standards. The kitchen area must be adequately cleaned to ensure safe food preparation and hygienic handling. Eating, drinking, and smoking must also be prohibited in the kitchen and the areas around to maintain restaurant hygiene. All the surfaces that come in direct contact with food shall be cleaned after every task with clean towels that have not been used anywhere else. Equipment like Range, Oven, Deep-fryer, Freezer, Baking sheets, Tongs, and others shall be sterilized at least thrice a week. Frequently used kitchen items such as cutting boards, blenders, grills, and countertops should also be sterilized daily. Sanitize the surface areas, such as bar tops, table tops and chairs with which customer’s come in direct contact with thoroughly at least twice a day. The floor near the entrances and the exits of the restaurant shall be cleaned daily. Clean the toilet bowls, toilet seat and floor of the restrooms after every few hours. It is very well said that cleanliness begins at home. When talking about maintaining hygiene standards in restaurants, one of the most critical components is the training of the staff members about how to maintain personal hygiene at restaurants. Your employees can prove to be the most crucial factor for maintaining cleanliness and hygiene. For safe handling of the customers, the employees should be provided with clean clothing, proper gloves, hair nets and other safety, and hygienic tools which are necessary for overall hygiene maintenance. Good personal hygiene including proper and frequent hand-washing is one the best way to prevent food-borne illness. Always ensure that the employees’ hands are washed and thoroughly dried before starting work, between tasks, and before working with food products, equipment, utensils, and linens. Apart from that, the nails must always b appropriately trimmed, clean and not have any nail polish. Make a routine of changing uniform after every shift. Also, employees especially the kitchen staff must not wear regular clothes as underclothes below the uniform. Sanitize your hands after every three hours while you are on duty. It is imperative to wear proper headgear, hand gloves while handling food. No dishwashing must happen without the use of rubber gloves. Any cuts, wounds, or open sores on the hands and arms of restaurant’s personnel must be completely covered with a waterproof bandage. Employees should be limited to wearing plain handed rings when it comes to jewelry. Necklaces, bracelets, earrings should be avoided. Employees should wear hair restraints such as hair nets, hats or scarves that can help in keeping hair fall under control. Maintaining hygiene standards in restaurants also plays an essential role in the better functioning and longevity of your Kitchen Equipment. Routine maintenance will keep your expensive equipment in proper operation and working order. Follow a Strict and consistent maintenance schedule of your restaurants’ equipment; you will be able to derive benefits related to both, reduction in energy costs and better quality food. Only when your equipment is regularly cleaned, it can operate at its maximum efficiency. Make a consistent routine of sanitizing the equipment such as Oven, Stove, Grill, Baking Plate, and others thrice a week. Educating your employees on the proper use of the equipment can help in increasing the efficiency of your restaurants and also helps maintain the hygiene standards in restaurants. Your employees should be aware of the misuse of any equipment. The employees how to carefully use, clean and maintain your kitchen equipment. All equipment and surfaces that have direct contact with food must be cleaned and sanitized thoroughly according to the prepared schedules to prevent the build-up of bacteria and helps maintain hygiene standards in restaurants. Switch between the cutting boards. Change sanitizing water at regular intervals. Regularly clean the trash bins. Regularly wash the preparation and lining areas. Make it a point to clean your equipment from inside as well as outside. Cleaning Items such as wipes, brushes, mops, dishcloths, detergent, and sanitizer should all be stored carefully and away from food to prevent any contamination. To maintain hygiene standards in restaurants, the manager of the restaurant should create a checklist of the specific cleaning duties and tasks that have to be performed by the staff members. The cleaning checklist of your restaurant will depend on the size of your restaurant. For example, in a small restaurant, the cleaning checklist will be as simple as a list of duties printed on a single sheet of paper. But when it is a larger restaurant, there is a need of detailed list broken down by job categories with a little of specifications. For instance, list out the separate duties for different sections like dishwashing area, cooking line, and food preparation area. Depending on the nature of your restaurant operations, it might be appropriate to include cleaning duties in a comprehensive list of tasks that must be performed during a shift. A restaurant kitchen cleaning checklist mainly comprises of the tasks related to cleaning and sanitation that is done before the end of a shift or workday. It should be simply stated so that your employees can easily follow it. Checklists usually include checkboxes or spaces for employees to confirm when tasks are completed. A restaurant cleaning checklist should not, however, be confused with a cleaning schedule. Restaurant cleaning schedules are more like detailed descriptions of cleaning duties that specify what has to be cleaned, when and how it has to be done. Staff can refer to the cleaning schedule for any information which will help them in carrying out tasks on the cleaning checklist. However, at the end of everything, the key to keeping a kitchen cleaning checklist is consistency. It is imperative for any restaurant to have a proper ventilation system in place for the well being of your restaurant staff as well as customers, and plays an integral role to maintain the hygiene standards in restaurants. The maintenance of proper restaurant ventilation is essential for safe preparation and storage of food and also for the boosting of the health and morale of employees which will further enhance your customers’ comfort. Maintaining proper restaurant ventilation is essential for the safe preparation and storage of food, the health, and morale of employees and the comfort of customers. The efficiency of restaurants’ operations can decrease in an unpleasant atmosphere filled with smoke, high heat, steam, and excess moisture. A restaurant kitchen has different ventilation requirements than that of the restaurant seating area. Either you can go with the traditional HVAC (Heating, ventilation and air conditioning) technology system or install a Demand Controlled Ventilation system. DCV system automatically senses the amount of heat, fumes and other elements in the kitchen and run only when it is needed that is when ventilation is required. The efficiency of a DCV system is the highest because it works only when it is required, thus reducing operating costs. The restaurant ventilation system should include features like Hoods, Exhaust Fans, Makeup air systems, Fire suppression. Another reason why you need to maintain hygiene standards in restaurants is that restaurants with lousy hygiene are very much likely to fail because no matter how much you plan to hide it, the news about poor hygiene can quickly get out and earn you bad publicity and ultimately you might end up losing out on your customers, or be forced to shut down your restaurant. The recent news of the shutting down of 80% of the stores of McDonald’s across Delhi-NCR, took everyone by a shock. Amongst other reasons that have been pointed out by various news portals for the closing of Connaught Plaza Restaurants Pvt Ltd (CPRL) which runs the McDonald’s franchise for North and East India, one of them was that it failed to secure regulatory health clearances to keep the business going. As a result of which the closing of 43 of 55 outlets of McDonald’s took place in the region. The restaurants under CPRL failed to get the necessary regulatory health licenses as it was unable to maintain hygiene and store-level efficiency. So to avoid such an unfortunate incident, the other restaurants should take this as a lesson and shall pay attention to keeping the food safety and hygiene standards in restaurants. Unhygienic food preparation can create an unhealthy environment and can upset your valuable customers. If your customers develop an impression of your restaurant that it isn’t clean and hygienic, it would be difficult to change their perception. Proper hygiene in the restaurant would help you gain trust from customers. Dirty and disorganized things can bring the positive energy of your restaurant down. Ensure that the restrooms in your restaurants are well-maintained. They can prove to be a great indicator of how clean the rest of your restaurant is. Therefore, keeping your restaurant dining and kitchen areas clean and maintaining the hygiene standards in restaurants are a big part of the success of the restaurant business. Not only will it keep you away from legal hindrances it will also help you attract a lot of popularity amongst the customers which will ensure that you carry on with your restaurant operations seamlessly while having your cash registers overflowing. great checklist for keeping hygiene of kitchen and food area. Maintaining restaurant cleanliness and hygiene standards is essential as it impacts your service and also customer perception. Great checklist, thanks for sharing! Maintaining stellar restaurant cleanliness and hygiene standards is exceptionally important since it will help your restaurant to deliver an optimum customer service. This checklist is amazing. Great work!